Transform this no-sew bag into a super-soft, velvety unicorn purse. Designed with little fingers in mind, This beginner craft will yield beautiful results for preschool unicorn lovers. 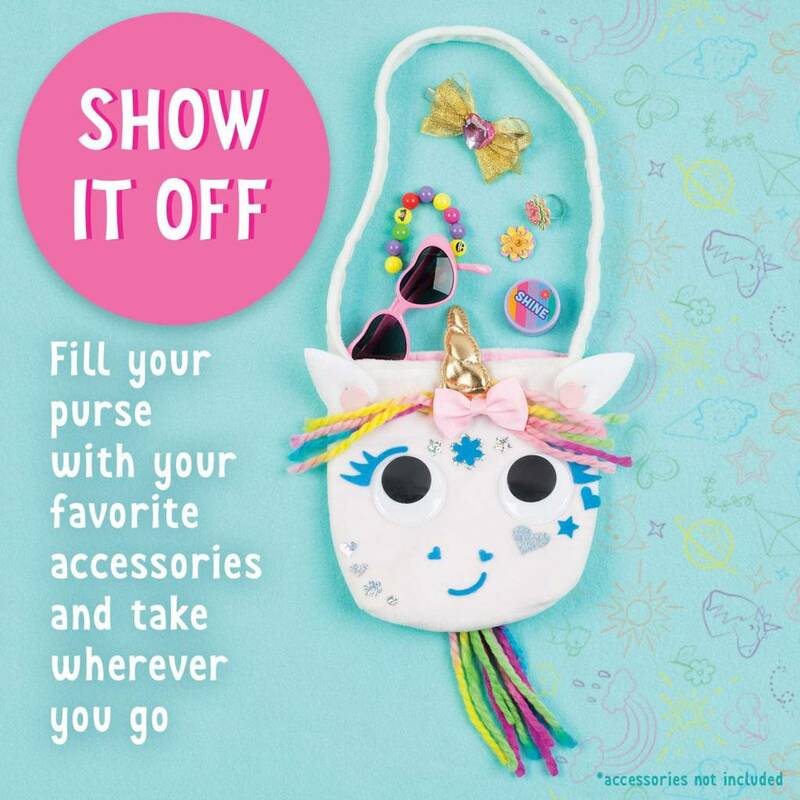 Create a Unicorn bag with high quality accessories! 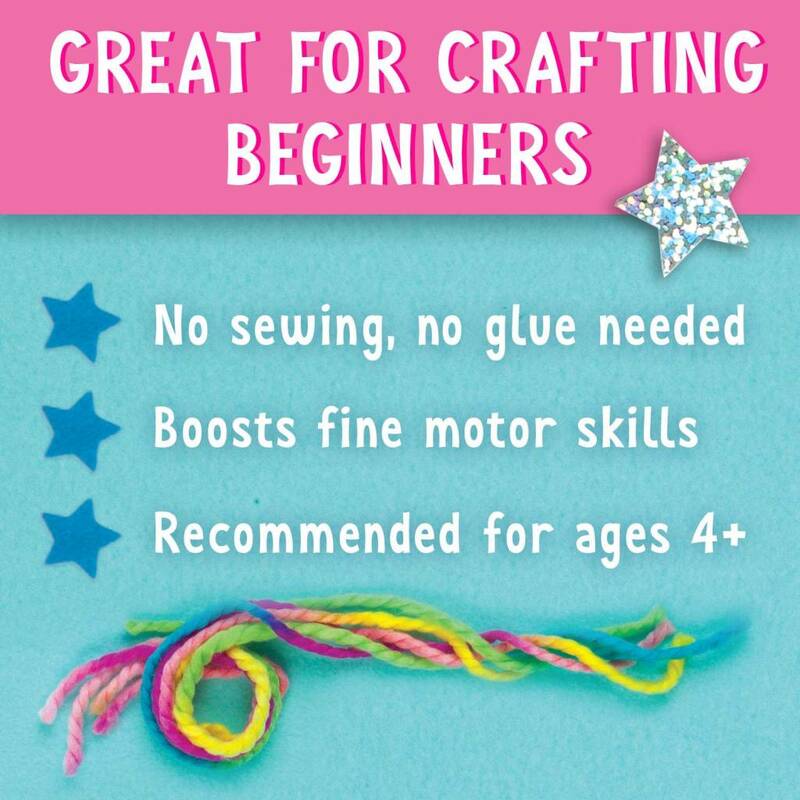 This includes: a golden horn, clip-on bow, rainbow yarn, velvety ears, super-sized wiggly eyes and fun fabric stickers. Practice your fine motor skills as you snap, button, peel and press them into place. No glue, no mess! 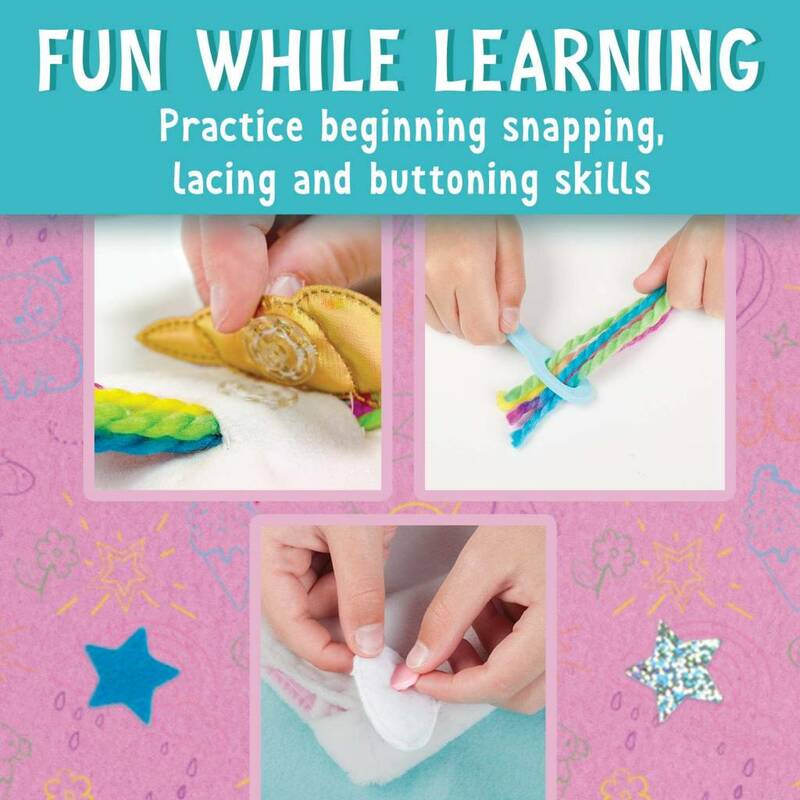 Just peel and stick fabric stickers and add colorful accents by boosting fine motor skills. 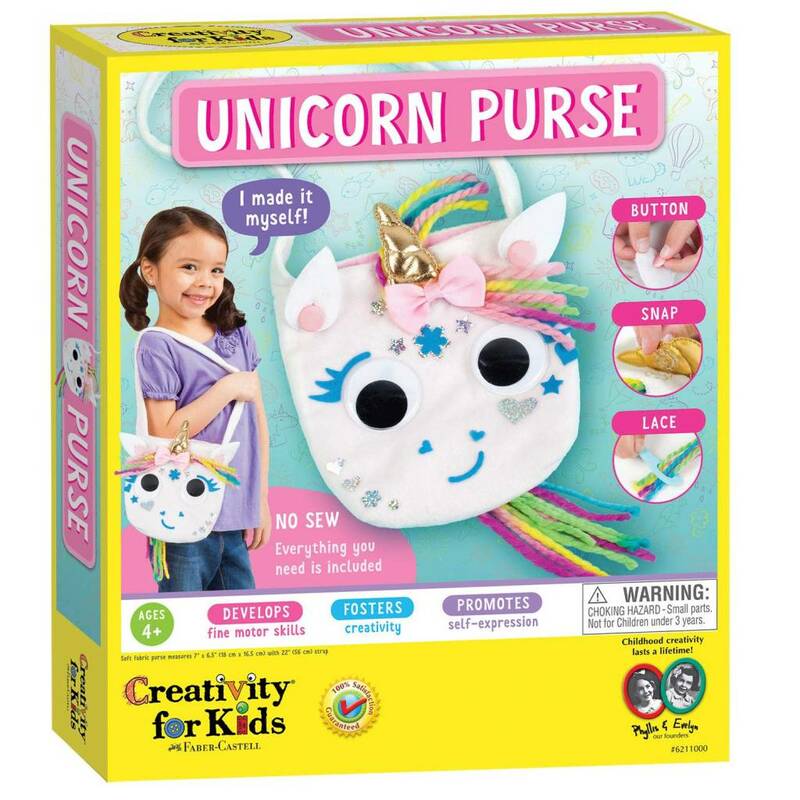 This unicorn craft activity is the perfect on-the-go craft activity that is travel friendly and can be completely easily by young crafters. 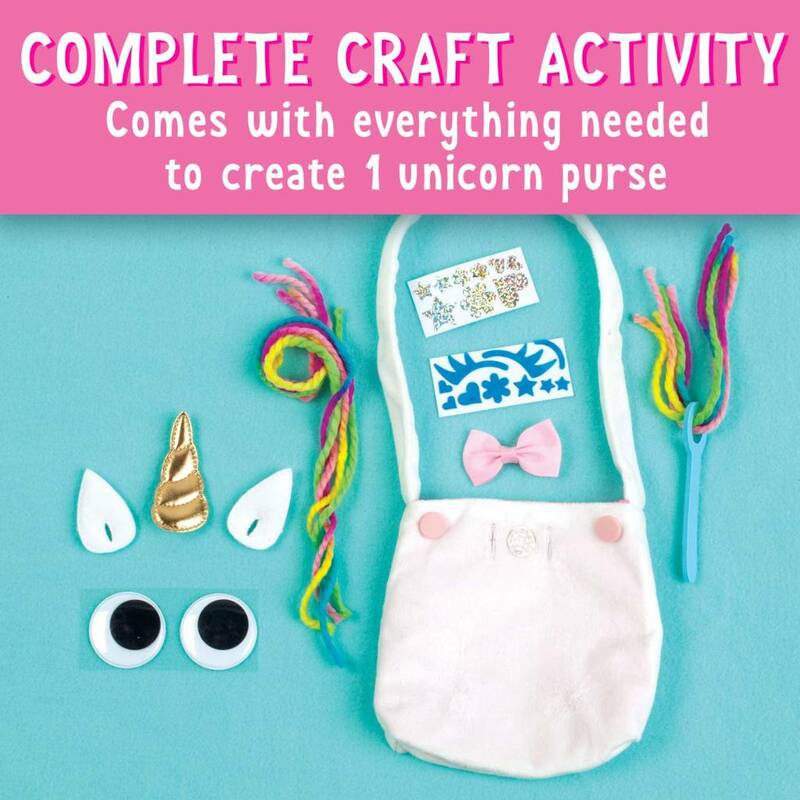 Create a fun, wearable no-sew unicorn bag that is great for gifting or to wear and express your inner fashionista! Inspire creativity and boost confidence in your preschooler with this fun craft activity designed to promote self-expression and inspire creative thinking. 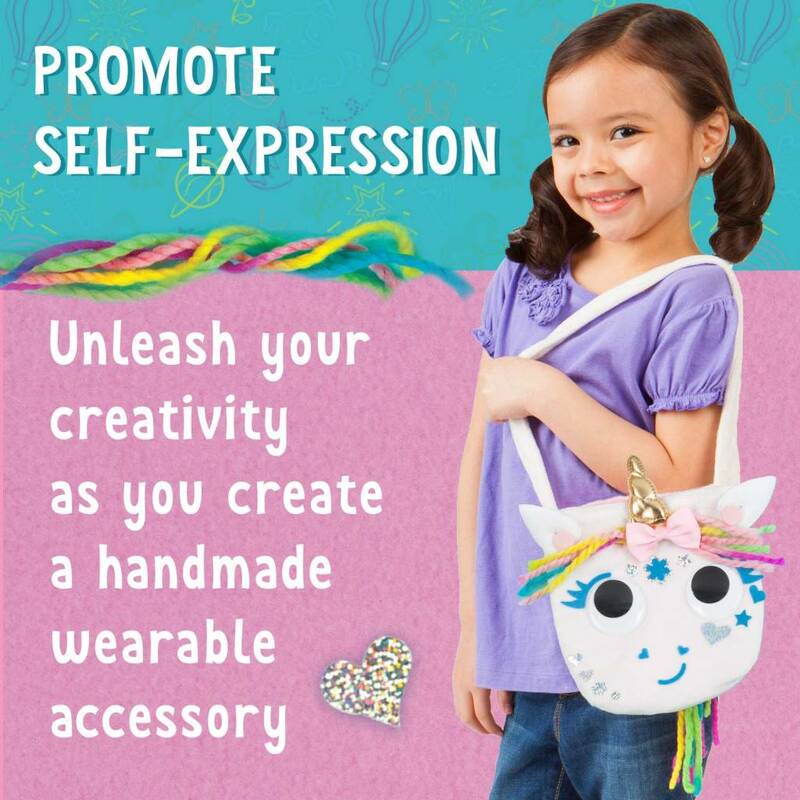 Your young crafter will be proud to wear a Unicorn bag that is uniquely created by them! This unicorn craft activity Features kid-friendly, non-toxic craft materials that are recommended for ages 4+. completed unicorn purse measures 6 1/2˝ W x 7˝ H with a 22˝ long shoulder strap.